This day book/ledger records the sales in the post general store. In 1844, Hiero T. Wilson partnered with John A. Bugg as the post sutlers. Bugg had been named sutler in 1843 but sold his 1/2 interest to Wilson in 1849. 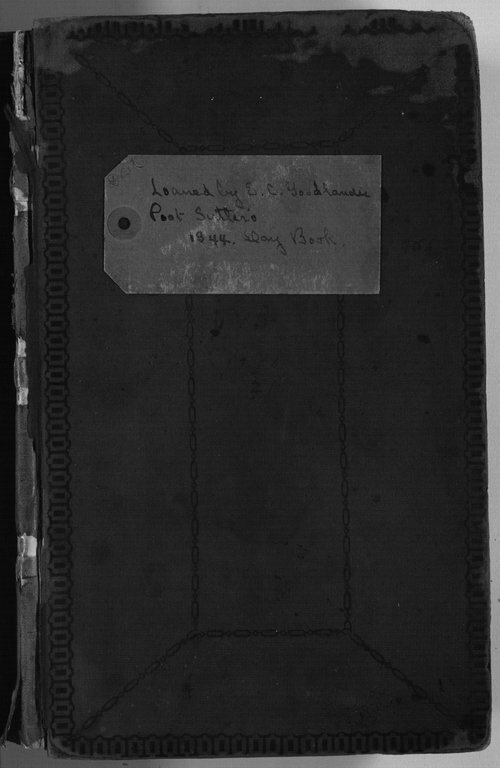 This volume records the name of the soldier making the purchase, the items purchased, and the cost. The store also made short term loans to soldiers to be repaid when they received pay. A number of the sales involve the sale of ale, wine, and liquor but fresh water was probably scarce at the fort. In addition to selling items to individuals, the store also sold goods to the military units stationed at the fort. The ledger entries provide a glimpse of the items that were available to soldiers stationed in the West. People - Notable Kansans - Wilson, Hiero T.